The Archives Concentration is designed to make local, regional, national and international histories public through research projects and professional training. Through a combination of academic course work, practical experiences and independent research projects, students learn about the institutions and repositories that shape our knowledge and understanding of our collective pasts through the collection, preservation, interpretation and display of artifacts, manuscripts and representation of historic sites. The capstone seminar, involving an independent research project, usually an exhibit, and a presentation at Celebrating Collaborations. Internships are an integral element of the Archives Concentration. Students complete two internships (paid or supported by Praxis) that enable each student to acquire practical, first-hand knowledge of the professional work of archivists, curators and archival researchers. Concentrators are eligible to receive a second summer of Praxis funding through Smith’s Praxis Plus program. Students can also support internships through the Rosenthal Fund. Come from a wide array of local, regional, national and international opportunities that are identified and/or approved by the concentration. Students are responsible for researching and securing appropriate internships. Some other experiences such as working for faculty members in archival projects through CFCD grants or Quigley fellowships may also qualify as one of the two practical experiences. If you already completed one or more practical experiences (internships, paid or volunteer work) before entering the Archives Concentration, you are still eligible to receive credit for these experiences. What were your main duties and accomplishments during your internship, volunteer or work experience? What aspects of your experience were most valuable? What insights did you gain about yourself and your preferred working style? What did the experience help you to think about your future career goals? The gateway course to the Archives Concentration introduces students to area sites of potential research and internships, and introduces students to the Smith and Five College network of archivists, faculty researchers and potential advisers for senior projects. The courses listed here may be counted as electives toward the Archives Concentration only when you have completed an archival paper or project for the course. Not all of these courses are offered each year. Consult the Smith College Course Search for current offerings and times.. Five College courses that meet these criteria may be counted toward the concentration. You should discuss all of your courses for the concentration with your ARX adviser. ENG 119 What's for Dinner? The following are Five College courses that are recommended for Archives Concentration credit. Consult current course catalogue to check availability. HST 397 Special Topics: History of Reproductive Rights in the U.S. In the capstone seminar for the Archives Concentration, ARX 340 Taking the Archives Public, students create online exhibits of archival materials from the Sophia Smith Collection and College Archives. The Rebecca Samay Rosenthal ’07 Fund supports student internships and capstone research in the archives and book studies concentrations. During her undergraduate years, Rebecca, known as Becca, was a student assistant in the Mortimer Rare Book Room, where she processed the correspondence in the Sylvia Plath Collection under the direction of Karen Kukil, associate curator of special collections. After graduation, Becca tried her hand at music promotion and banking before returning to her first passion—archival work. 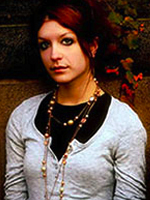 She was in the process of earning her graduate degree from Simmons Graduate School of Library and Information Science before her untimely death in October 2012, at the age of 27. Friends and family established this memorial fund in 2014 in the hopes that each recipient will honor Becca's multitalented gifts and extraordinary appreciation of special collections, becoming devoted archivists and librarians in her stead. To apply for the Rosenthal Fund, please download and fill out the application below. For more information, please contact Beth Myers, director of special collections. Paid internships at Smith repositories (SSC, SCA, MRBR), several each year, including CDO, SWG (SSC), Fraenkel (SSC). Most are term, some summer. Volunteer work in a regional historical society—Historic Northampton, Forbes Library local history collection, the Coolidge Library, Old Deerfield. Volunteer work gathering and processing the archives of a Smith student club, organization, publication, for donation to the campus archives. Members of the Archives Advisory Committee serve as advisers to students in approving course selection and internships and may be consultants to independent research projects in the capstone seminar for the concentration. A concentration gives students a way to organize a combination of intellectual and practical experiences around an area of interest. By declaring a concentration, students receive focused advising to help them design a program in their area of interest. The following required documentation must be submitted for each practical experience. These forms must be completed and signed prior completing your practical experience. To arrange an internship, supervisors are asked to supply the following information by March 31. Sophomores and juniors are encouraged to apply online. First-year students may apply in the spring (April 1) after completing at least one course in the concentration.